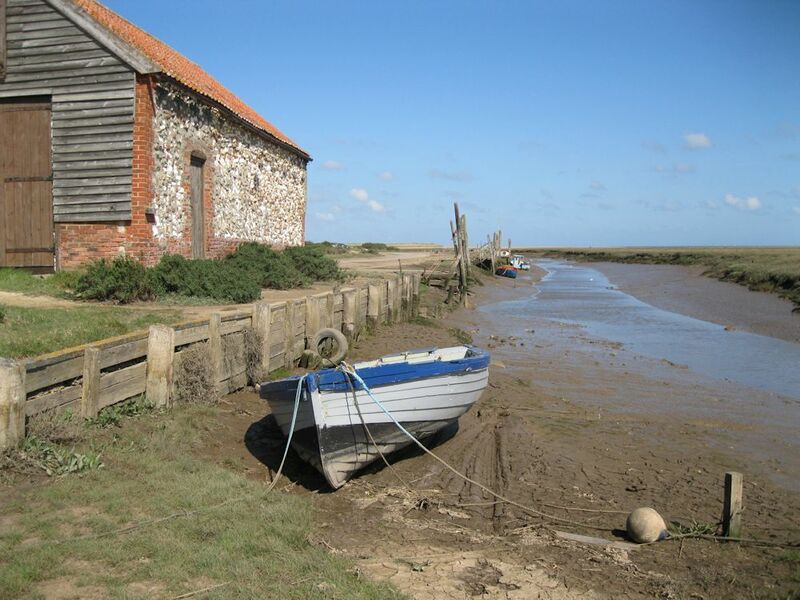 In the 18th and 19th centuries Thornham had a large harbour and was a popular place with smugglers who used to sink their contraband off the coast, in water proof containers. Then when the tide had receded the locals would recover the goods. The Old Lifeboat Inn which is located down by the marshes used to be used by smugglers for dishing out their ill gotten gains. The area is used nowadays for leisure sailing and coastal fishing. Oysters are grown in the natural salt marsh creeks that meander from the North Sea into Thornham Harbour. When the oysters reach maturity they are hand-picked and brought ashore for cleaning and grading before being purified by UV treatment in accordance with hygiene regulations. Thornham's salt marsh creeks have provided this bountiful delicacy since Roman times.